Summer visitors are always in awe of the acres of sunflowers by the road to Antler Hill Village—these beauties bloom throughout late summer. Besides serving as a visual treat, the flowers provide gourmet meals for the diverse wildlife that lives on the estate. “These flowers are great summer forage for deer and also an important source of food for mourning doves, song birds, and migrating birds,” said Curt Horn, Director of Grounds Operations at Biltmore. Curt and his crew are responsible for our Wildlife Management Program. They make sure that the wildlife has food and places to nest. In fact, out of 500 acres of crop fields, some 50 acres are designated for wildlife feeding. Each year, Curt’s team develops a planting schedule, rotating crops to keep the soil from being depleted. 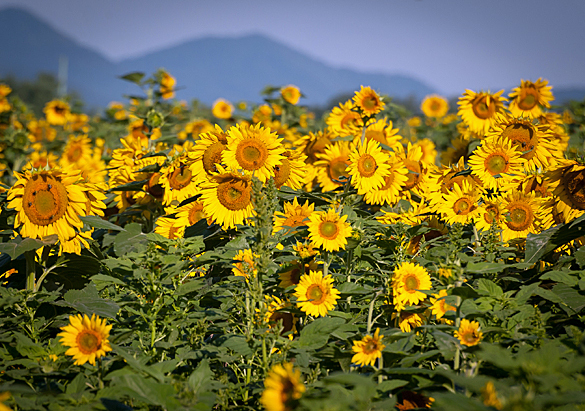 This year they will plant 10 acres of sunflowers—staggered in May, June, and July for extended blooms from late August into mid-September; 15 acres of corn; 10 acres of soybeans; 10 acres of wheat; and 10 acres of legumes. Some of the wildlife plantings are easy to see, such as the planting on Amblers Trail that starts at the Lagoon and meanders up the hill toward Biltmore House. Corn and soybeans make excellent meals for the deer, rabbit, and turkeys commonly seen in these areas. Plantings of native warm season grasses and wild flowers provide both nesting and protective cover for a wide variety of wildlife. One great place to see this is along Pony Road from the service road brick bridge towards the river. Along River Road by the Equestrian Center, five large fields feed wildlife such as deer, turkeys, squirrels, beavers, other small mammals, and dozens of bird species. 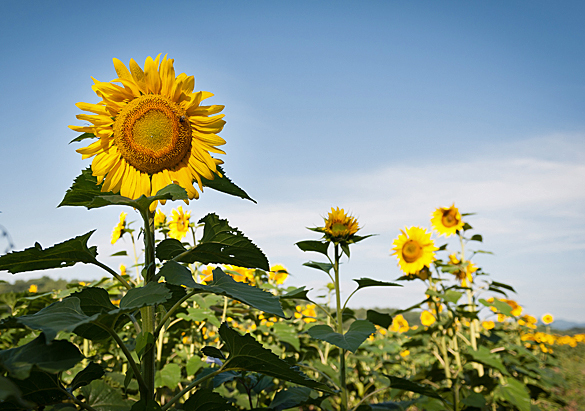 Crops include millet, cow peas, sunflowers, soybeans, and corn. And next year, Curt’s team will plant a strip of wildflowers along the road to Antler Hill Village—just south of where the sunflower plot ends. 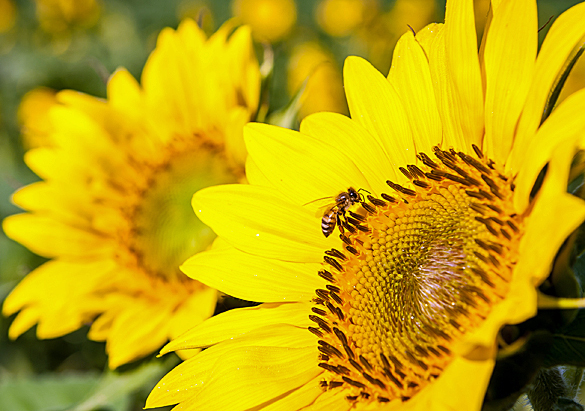 Both annual and perennial varieties will provide blooms for the enjoyment of guests as well as habitat for pollinators. “George Vanderbilt treasured Biltmore’s wildlife and worked hard to protect it. We are continuing that legacy by providing food and habitat as an integral part of keeping Biltmore’s 8,000 acres healthy,” said Curt.